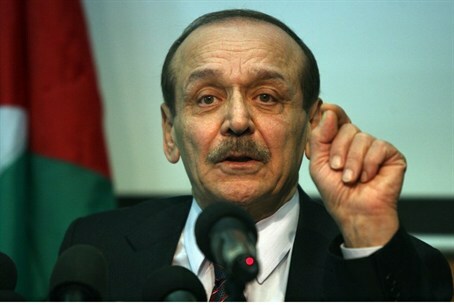 Yasser Abed Rabbo, a member of the PLO Executive Committee, says terrorist groups could agree to extend truce for 72-hours. Yasser Abed Rabbo, a member of the PLO Executive Committee, announced Tuesday that terrorists in Gaza had agreed to a 24-hour "unilateral ceasefire". The ceasefire will supposedly to go into force immediately and has received the approval of Hamas. "After extensive calls and consultations with the brothers in Hamas and Islamic Jihad, the Palestinian leadership announces on behalf of everyone the willingness for a ceasefire and humanitarian truce for 24 hours," said Yasser Abed Rabbo, Secretary General of the Palestine Liberation Organisation. "We call on all Arab and international parties to support this ... and hold Israel fully responsible for the consequences of refusing it," he said, reading out a statement. He added that "there is also a suggestion from the United Nations to extend this truce for 72 hours and we are dealing positively with this suggestion." Israeli Channel 2's veteran Arab affairs analyst Ehud Yaari said that Abed Rabbo is "a serious person" and that an announcement of this nature probably has substance behind it. Hamas previously rejected another UN-brokered ceasefire and has repeatedly rebuffed offers of a truce. But after 22 days of IDF attacks on its positions - which have shown no signs of abating and which have reportedly killed hundreds of Hamas and Islamic Jihad terrorists - the Islamist group is increasingly searching for a lifeline. Israel has also focused its strikes on terrorist groups' military infrastructure, destroying dozens of "terror tunnels" into Israel and hitting rocket launchpads and storage facilities; some intelligence reports have suggested that as many as two thirds of the rockets possessed by Gazan terrorists have been either destroyed or fired since the start of Operation Protective Edge. A recent report revealed Hamas was looking as far afield as North Korea to help replenish its deadly arsenal. Abed Rabbo also said a senior Palestinian Authority delegation led by Mahmoud Abbas and including representatives of all the factions would travel to Egypt for talks on ending the conflict. "The Palestinian leadership decided that a unified Palestinian delegation will go to Cairo to look into everything regarding the next step," he said. There has been no cessation of the fire from Gaza into Israel and from Israel into Gaza so far, however. The IDF has been targeting the Rimal neighborhood of Gaza for the first time and telling residents of the eastern side of Khan Younis to evacuate their homes. "Only a decisive victory will prevent the next war,” he wrote on Facebook.